Wake up in the morning to check to see if your pasta sauce is expired or not. 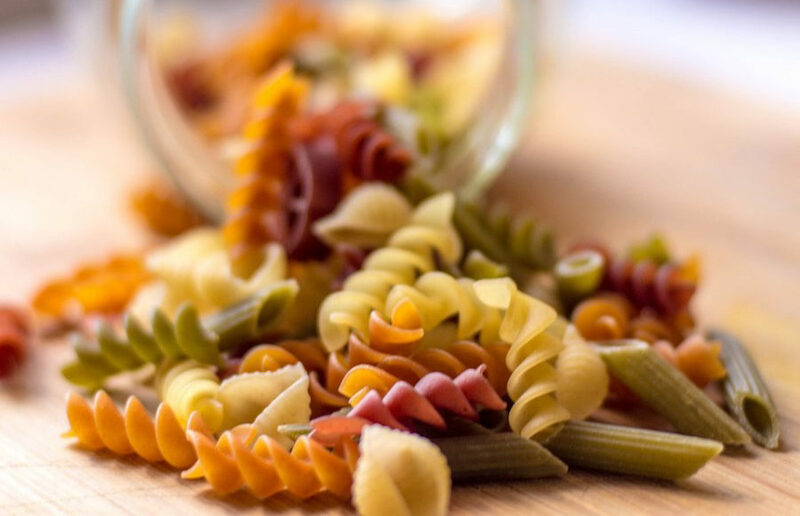 Have a cabinet filled with a variety of pastas to keep your eating experiences interesting. Remind yourself that pasta is better than pizza. Choose to eat at home and try a new lasagna recipe over going out and eating some other food with friends. Tell yourself that Homeroom isn’t even that good. Consider going vegan but then remember how much you love sprinkling cheese on top of your pasta. Have a special “pasta fork” and “pasta bowl” you consume your mountain of carbs in. Are judged all the time for not eating anything else. Tell yourself that you’re healthier than most people, even though you rarely consider adding vegetables to your spaghetti. If you wanted lettuce, you’d eat a salad. Look for flights to Italy, the pasta capital of the world. Call your parents to beg for a pasta maker. Eat raw ramen as a snack when you’re temporarily out of the real stuff. Believe that homemade pesto tastes better than any of the crap you see in the store (and rightfully so). Exhaust Ancestry.com to find some shred of evidence that your obviously non-Italian family descended from Italians. Fall into food comas on the regular. Hate it when people touch your spaghetti. Envision your dream date as “Lady and the Tramp-ing” a plate of gourmet spaghetti with bae. View Mario Batali as your hero, since he and his majestic orange Crocs were a meme way before Guy Fieri. Have no idea what “spaghetti squash” is. Have a room that perpetually smells like vomit mixed with pasta sauce. Believe that garlic bread is vestigial to the pasta-eating experience. Are forever thankful that you do not have celiac disease. Have a pet fish named Gnocchi. Whether only one of these things was relevant to you or all 25 of them were, you love pasta, and you make sure everyone else knows it too. It’s undeniable — pasta’s got you feeling some type of way. And most of time, it’s a pretty good feeling, so whenever a friend sees you, they can’t help but feel good too.